Without further ado, here is the official guide on using the 3G Cellular Expansion! 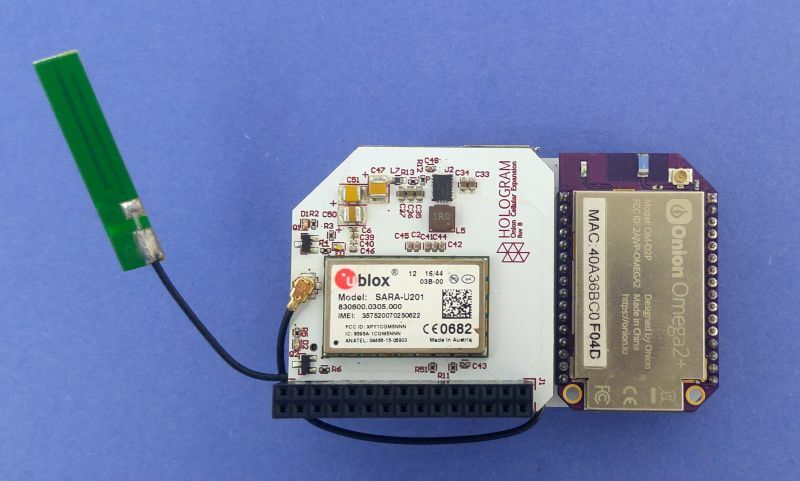 The 3G Cellular Expansion features a u-blox 3G module that adds cellular connectivity to the Omega2. Having this expansion is extremely handy when you need internet access on your Omega and you’re nowhere near a WiFi network. This is especially useful for outdoor sensors and the like! 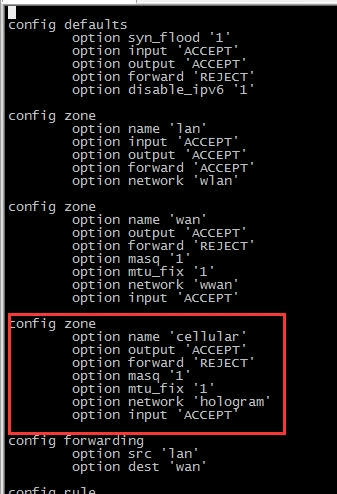 Your Cellular Expansion will come with a Hologram SIM card, so the first step is to activate the SIM card on Hologram’s network. But let’s first create a Hologram account. Please follow the guide on how to register for an account. Now you can login and activate your sim card, choose the plan that you’d like and you are all set to go! Note: to properly power on the Cellular Expansion, the Power Dock must be powered by a battery only. Once the Cellular Expansion is on (the LED is on), a MicroUSB may be plugged in. Please note the special characters that is used in this script: ' is a single apostrophe and '' is two single apostrophes '. This is important! 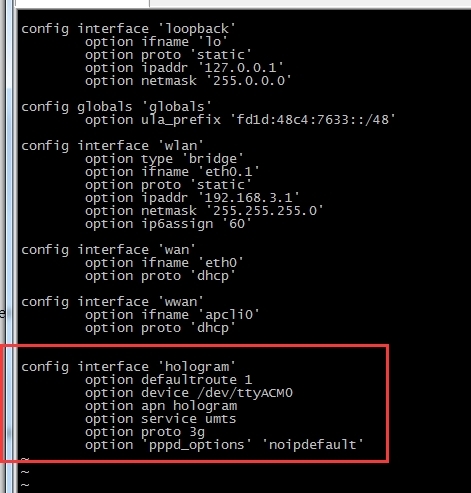 Now, issue the ifconfig command to verify the presence of a 3g-hologram interface. The final step to ensure that you are connected via 3G is to ping a website, please refer to the screenshot below. Now, that you are connected to the Cellular network you can create remote projects and make them accessible in the real-time! Happy Hacking!